Does it produce a coarse or fine grind? Can it be used without the kief catcher? 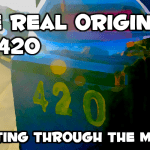 How quickly does it produce kief? 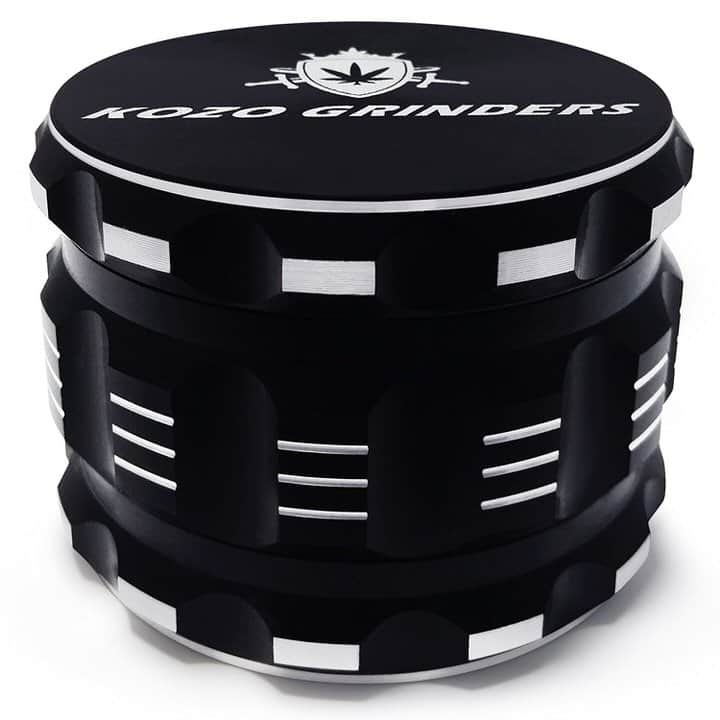 One of the hottest selling herb grinders to hit the market in recent months is the Kozo Herb Grinder. This grinder has been selling so well that it appears that Kozo has had a hard time keeping it in stock. The reviews for this herb grinder are also stellar leading to a good reputation. 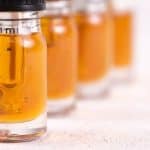 At BestGrinder.net we like to dig a little deeper to see if the sales volume and reviews match up with the quality. Let’s take a close look at the Kozo Grinder’s pricing, features, and quality. The Kozo Grinder is no doubt a good looking herb grinder. I personally like the black and white lines that are included as design elements on the outside of the Kozo. Another feature on the outside of the Kozo Herb Grinder is the indents that span vertically from the top of the grinder to the bottom. 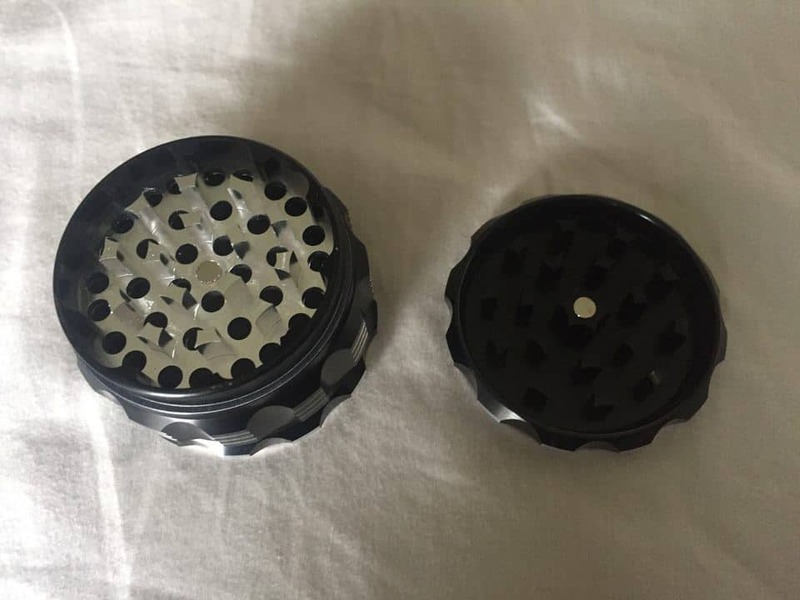 These are part of the herb grinder to enhance the grip so that you can twist the lid with greater ease. The more grip you can get the more grinding you can do, its that simple. Kozo Grinders feature square shaped teeth that have sharp edges to help break up herb. I’ve mentioned before that I like diamond-shaped teeth similar to those featured on Black Tie Grinders. 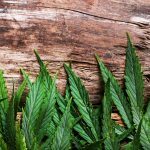 Diamond teeth do a better job at shredding herb with the least amount of force. That being said, the teeth on the Kozo Grinder are not bad and will work for most herb fans. For those who are serious herb connoisseurs you may want to find a grinder with diamond shaped teeth. 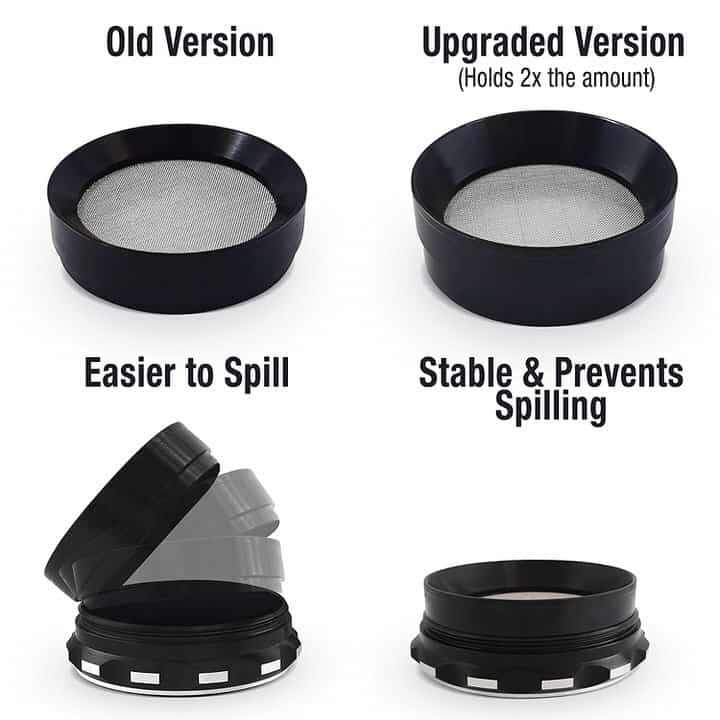 Kozo has had a round of updates in an effort to improve upon their original herb grinder. This update primarily includes an increase in the height of the walls on the removable herb collection piece so that the Kozo Grinder can hold more herb. 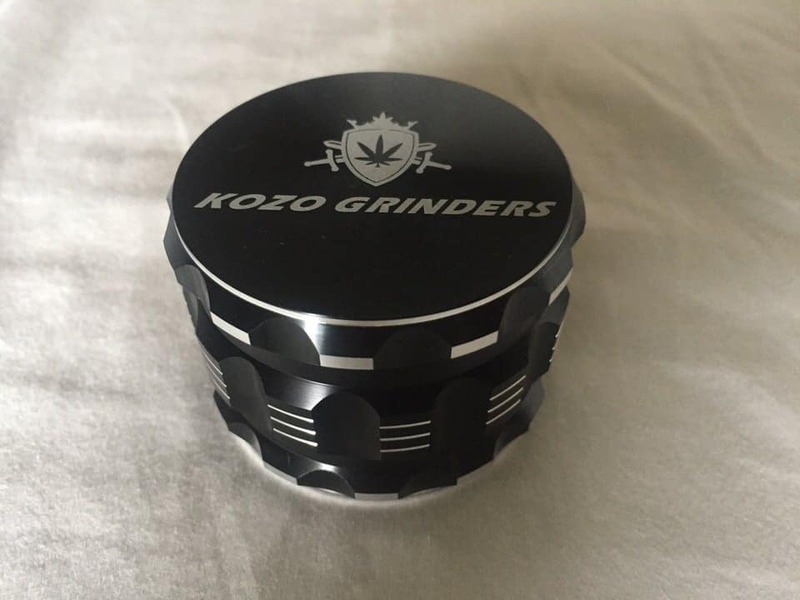 Kozo Grinders come in a single 2.5 inch diameter size. 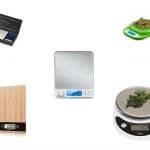 This is the most common size for personal use herb grinders and should satisfy the vast majority of herb grinder users. It appears that Kozo varies the price of their herb grinder frequently. I’ve seen the Kozo Grinder priced anywhere from $20 to $24. If you are set on getting a Kozo Grinder and see that it is at the higher end of that range it may be worth waiting a few days before buying to see if the price drops. Kozo currently comes in seven different colors: black, gray, green, gold, red, blue, and purple. No matter what you personal style, Kozo grinders has a color that will fit your fashion sense. The Kozo Grinder is most similar to The Rocket Grinder in terms of quality and styling. Both are fine grinders, but not the best of the best. Kozo Grinders feel solid in your hands and do have a smooth turning action, which is a big plus. If they’d switch over to diamond shaped teeth this grinder would be really hard to beat. The vast majority of reviewers have been happy with this grinder, with a select few mentioning that the bottom set of teeth fell out after a few uses. This is a common issue with grinders made from two pieces of aluminum that are glued together. 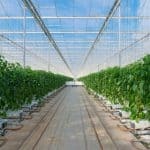 For those who are unaware the reputation of Amazon’s reviews have taken a beating lately. Some sellers are using unethical tactics to get unwarranted positive reviews. This means you may end up buying something that isn’t what you expect in terms of quality. We are not going to accuse Kozo of these practices, but their reviews do appear to be too positive for the quality of their product. 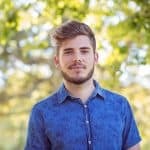 In fact, reviewmeta.com also finds their reviews to be suspicious. Does this mean you shouldn’t buy a Kozo Grinder? No, but you should realize that their current rating on Amazon is likely inflated. Kozo Grinders do not come with many extras. Their grinder box does feature their logo, but is a simple brown cardboard box. 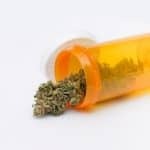 Included with your purchase is a pollen scraper which is common with most herb grinders. Kozo grinders produce a medium-fine grind. No, but you can take out the filtering screen very easily. A small amount of kief will be produced after each grinder.